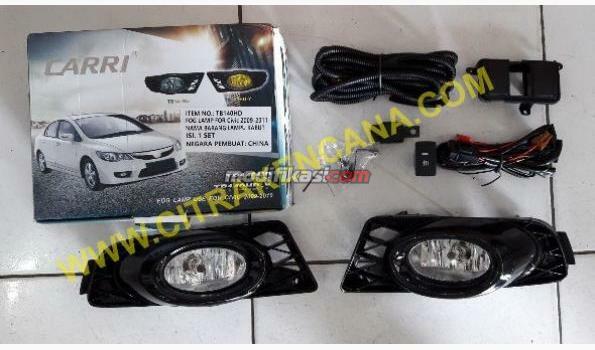 Specification : Packaging : 2 Pcs Technology : Vision LED Type of Lamp : P21/5W Power : 13.5V 1.9/0.3 Watt Colour Temperature : Red Application : Stop & Tail Light E..
PROMO RING REFLECTOR ALL NEW INNOVA REBORNED Rp. 140.000,- 1 SET = 2 PCS BAHAN PLASTIK. WARNA CHROME. KUALITAS IMPORT. MENJADIKAN MOBIL ANDA TAMPIL LEBIH MEWAH & M..